​ Summertime living can be easy, but that hot sun and humid air can drive up energy bills as we turn the temperature down on the thermostat. Improving your home’s efficiency when it comes to heating, air conditioning, and other energy use is an easy way to save on your electric bills and cut down on air pollution from power plants. There are many ways to cut down energy use in your home – some are simple fixes, others are much more involved (and often more expensive). One of the first steps is to determine how much energy your home is using, and how much of it might be wasted. DEP’s website lists several different options for figuring out how much energy is being used efficiently, and how much is going toward air conditioning the whole neighborhood. The options to understand your efficiency range from do-it-yourself estimates to full professional consultations (with financial assistance available to those who qualify). Set the air conditioning 4 to 6 degrees warmer. This will cause the AC to run less often, and use less energy. For cooler nights, open the windows and air out the house, then close the windows and blinds or curtains in the morning to keep that cool air inside. Use fans to maximize air flow from air conditioners and open windows. But don’t forget to turn any fans off when you leave a room (fans cool people, not rooms). If possible, cook outside. Summertime is a great time to grill out back or at the local park, and cooking outside will keep all that warm air from building up inside. Other methods include caulking windows to reduce leaks or replacing less-efficient light bulbs. More involved strategies can involve replacing older, less efficient appliances like air conditioners, washing machines, and dishwashers with newer models. There is no one-size-fits-all approach to reducing your energy needs, but DEP’s website has links to recommendations both for the do-it-yourselfers and those who would rather leave it up to professionals. 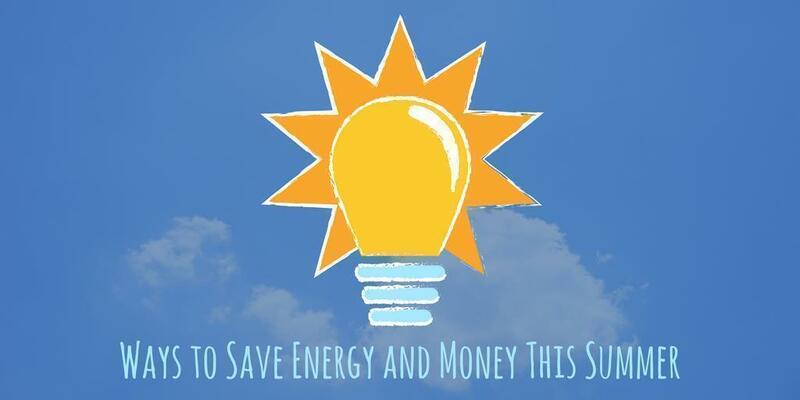 A variety of programs and rebates can help homeowners reduce their energy use​. These range from rebates for energy efficient appliances to low-cost loans and financial assistance for weatherization and energy efficient home repairs. Even though temperatures might be high this summer, there is no reason that your electric bills need to be, too. With just a few simple changes, Pennsylvanians can cut down on their energy use, and their utility bills.